bumping up the B string to .0135 and the Low E to .048 makes all bending feel equal. 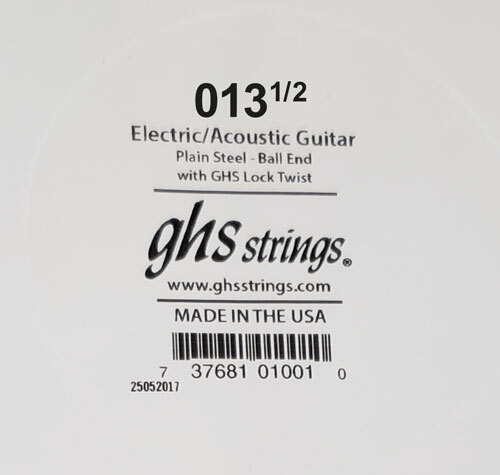 Changing strings after 40+ years? Recently I read an article that the B and low E strings of the classic .010 to .046 string sets are too thin relative to the rest of the set. What this causes is those strings require less pressure to stretch a half step or whole step than the other 4 strings. Well, I replaced my .013 with a .0135 and replaced my .046 with .048. After using the same set of strings on my electric guitars for 40+ years, I am thoroughly convinced. I was often stretching my bends on the B string just a hair sharp because of the lesser tension. Problem solved! I'm a believer! The larger low E adds extra punch without significantly increasing pressure required.